Hello everyone! Here’s another giveaway for you guys (OPEN INTERNATIONALLY)! Was supposed to post this a week ago but my schedule won’t let me. 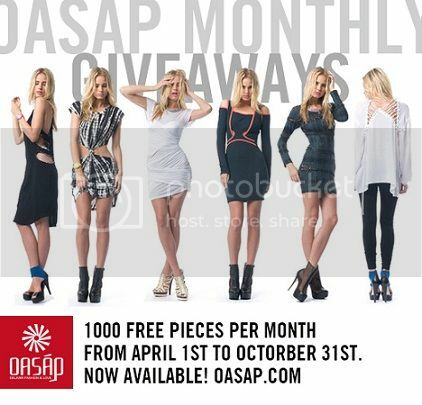 Anyhoo, I’d like to thank OASAP for sponsoring this giveaway! More giveaways like this soon! IMPORTANT: Please read and follow the mechanics very carefully. I made the giveaway on Rafflecopter so that it would be easy for you (Please use the app to enter the giveaway). 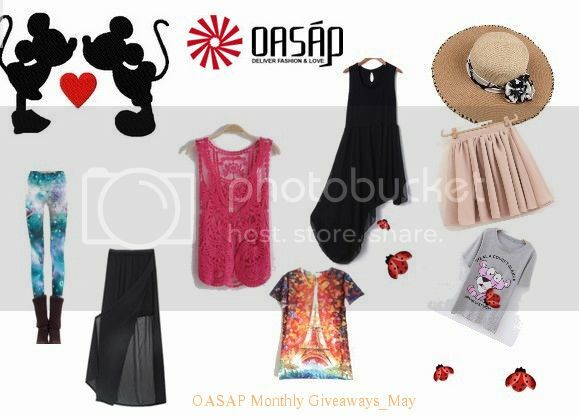 The giveaway needs at least 50 participants/registered on Oasap.com. The prize will be only valid if 50+ participants enter. Hoping that we reach the goal so that one of you could win! Yay! I will personally contact the winner on how he/she could get his/her prize. **Please wait for the app to load. If it’s not loading/showing, please refresh the page if the Rafflecopter App. That’s it! Good luck and Enjoy! Hope you could join the giveaway! BTW, don’t forget to share this with your friends! Guess whos going to BU3!